I would have liked a yellow one, but could only get my hands on a black matt. Kask informed me that some colors, like yellow, were limited editions and not available anymore. So here I am with the black matt Kask Protone. I'm really trying not to bash the previously owned helmets, but they didn't fit my head well. Also if you are familiar with the mushroom look, you know what I mean. The helmet I'm testing is size L(arge); what can I say, I have a large melon. Putting the Protone on, it wrapped really well around my head. It gave me that feeling of being well protected. It behaves like a symbiont, I don't even notice I'm wearing it. It is more compact and does not make me look like I have a mushroom on my head. I believe the construction of the retention system is what gives the helmet the feeling of a good fit. The tightness can be easily adjusted with the real dial. Also, there is plenty of height adjustment at the rear. The helmet sits snug on my head, it has a lot of padding inside. The abbundant paddings make it very confy to wear, because my head touches the soft pads instead of the harsher foam. 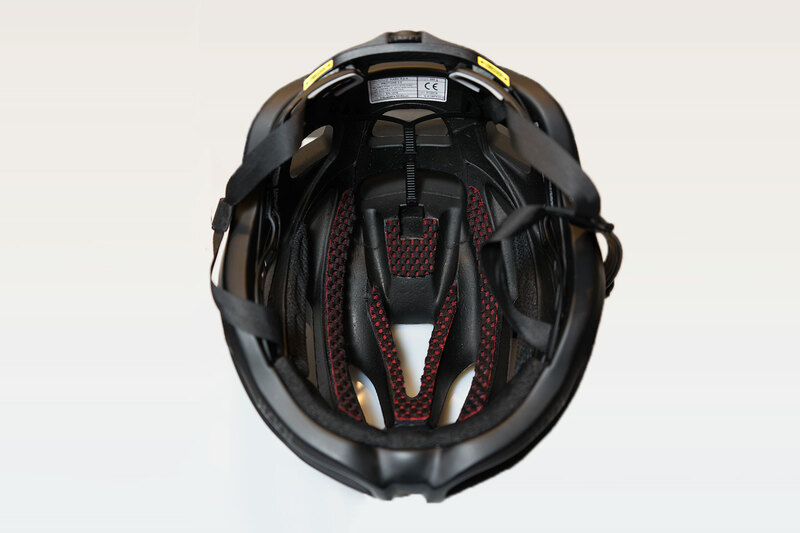 Like other helmets, the pads can be removed and washed so they don't get stinky. The pads touching my forehead did a great job at keeping the sweat from dripping into my eyes and onto the sunglasses. Since we are at sunglasses, if you decide not to wear them, you can place them in the venting holes of the helmet. So far my Oakleys did not fall out. As a side note, I always wear some kind of eyewear when riding my bike. The reason is simple. I don't desire to be blinded by a bug or other road debris. Or worst case, fall and get hit by a car. 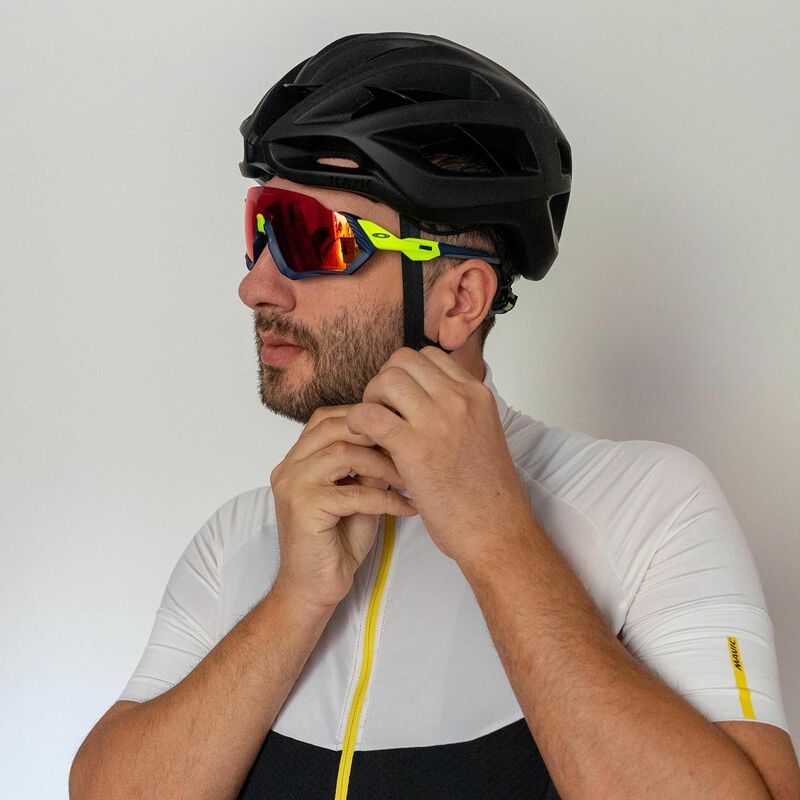 Wear some eye protection while riding. The straps, for me, fit great and are confortable, no rubbing. But, there must be a but, if you have a narrower and longer head shape or your ears are bellow the eye level, you might have some issues. You ask why? Well the straps can't be adjusted at the ears. They have a fixed position. You can only adjust the strap at the chin. Venting and cooling on hot rides was not an issue. The large vents allowed in alot of air to cool my head. What annoyed me is that the larger the vents, the more bugs could get in my hair and on my forehead, causing distracting itches, forcing me to stop, remove the helmet to get rid of those annyoing bugs. 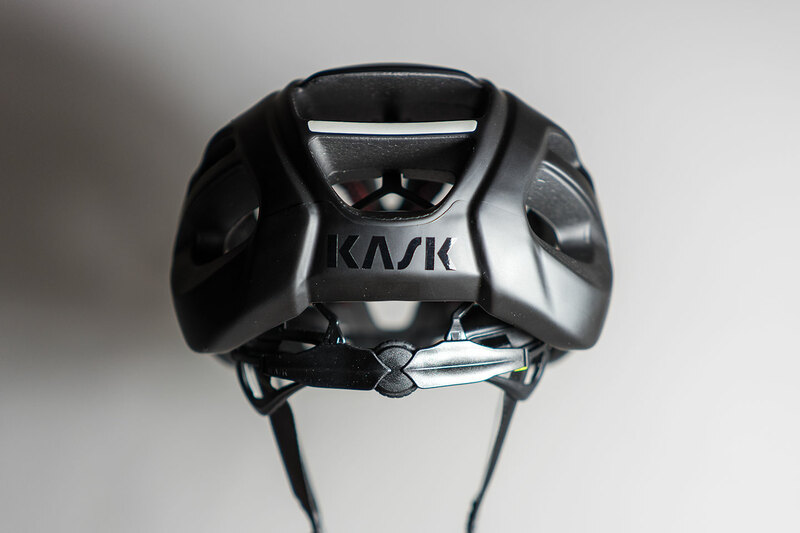 On the back of the helmet, Kask put a reflective element so drivers can see you when it's dark outside. This is great for better visibility and safety. 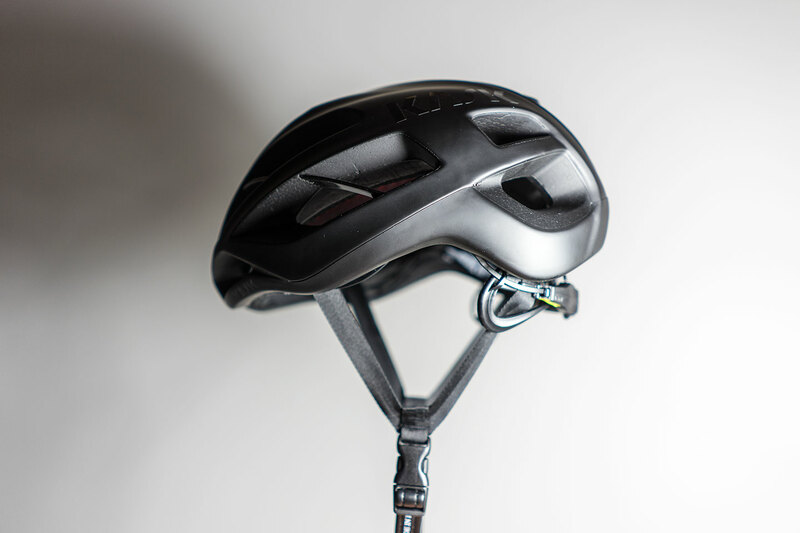 All helmet manufacturers should adopt this safety feature. And remember, you should always try multiple helmets and pick the one that fits best.